At the crossroads of three continents, Europe, Africa and South America, the Cape Verde islands are proud of their mixed race heritage, a blend of cultures that makes them truly unique. Far from the main maritime routes and major tourist destinations, Cape Verde offers its authenticity and its traditions, a region with a thousand faces and a thousand landscapes. At the heart of the Cape Verde Islands, Santo Antao, also known as one of the Barlavento or Windward Islands, is of volcanic origin. This has resulted in a landscape of deep, green valleys and steep summits. We invite you discover the two contrasting sides to this surprising island: the unmissable north first, where you can hike from the altitude forest to the luxuriant Paul valley, via the impressive coastal path leading to Ponta do Sol... Next, you will visit the wild west of the island, with its remote tiny villages and encounter the fishing community. Discovered in 1460 in the month of May, as its Portuguese name indicates, Maio is located east of Santiago in the Cape Verde archipelago. At the south-west tip of the island stands the seaport town of Vila do Maio and its pastel-coloured houses nestling against the smooth hills. Morro, a quiet little village famed for its hand-crafted pottery is located not far from there. 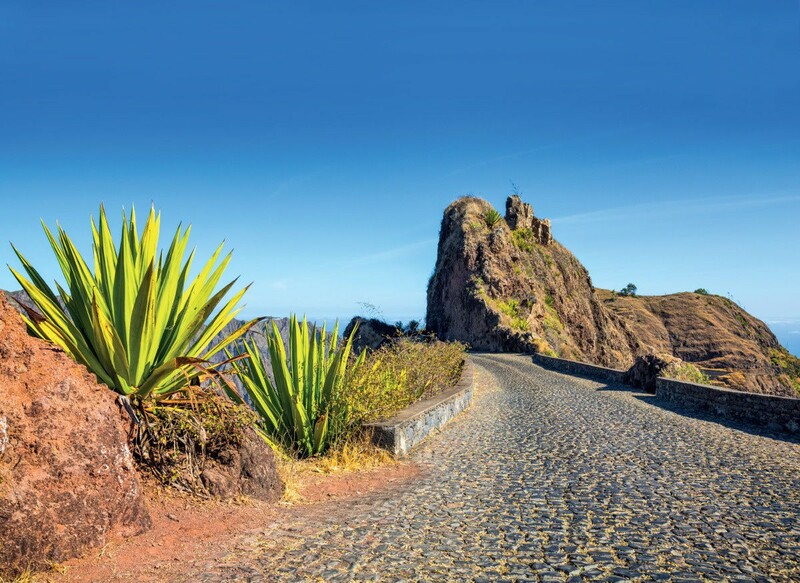 Follow the coast road alongside deserted beaches to the fishing port of Calheta, and on to the village of Morrinho. Located south-west of São Vicente, the island of São Nicolau is a thrilling sight with its steep but luxuriant cliff faces culminating in Mount Gordo. Near the summit, the island’s attractive capital, Ribeira Brava, and its pastel-coloured houses and colonial monuments, nestles in a deep valley. Not far off, you can hike through the mountain cirque of Fajã, where you’ll see the rare and extremely old dragon trees growing naturally on the high plateaux. Located on the shores of the bay of Porto Grande on the North-West Coast of São Vicente, Mindelo is considered to be Cape Verde’s cultural capital. Here in Cesaria Evora’s homeland, you can listen to real morna in the bars of the old town, where you can also sip a grog of Cape Verdian sugarcane spirits. 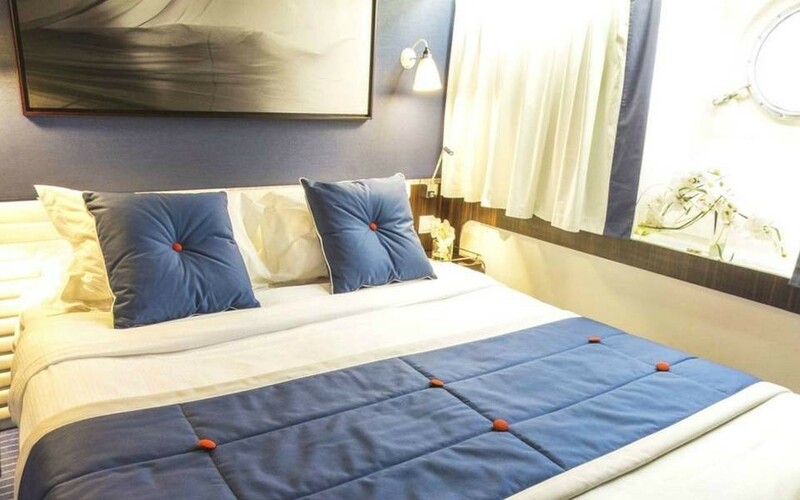 A few streets from the elegant floating resort of Pont d’Água, you’ll be taking in the sight of the pastel-coloured houses and colonial buildings of the historical district. Other landmarks are the facades of the old Governor’s Palace and the municipal market, behind which an atmosphere high in tropical flavours prevails. The coastal city of Porto Novo is located on the South-East Coast of Santo Antão Island. Near the jetty, colourfully painted boats lie beached on the sand. Shaded by palm trees and tamarinds, the waterfront boasts beautiful vantage points overlooking the Atlantic and the island of São Vicente. In the city centre, built at the feet of abrupt escarpments, you’ll discover the low-profile, painted buildings that are emblematic of traditional Cape Verde architecture. Lying west of Praia, the volcanic island of Fogo is Cape Verde’s highest landmark. Protected by a national park, this is where you can see recent lava flows, and older ones sprouting with new growth. Along the rocky coastline, you’ll come across picturesque villages, like Mosteiros. Don’t miss a visit to the historic town of São Filipe, and its elegant colonial houses overlooking the Atlantic. Vessel Type: Motor Yacht Length: 88 metres Passenger Capacity: 64 Built: 1991 Experience the privilege of a relaxing cruise aboard Le Ponant, crafted to respect the tradition of famous sailing yachts. Following in the nautical tradition of three-masted sailing ships, Le Ponant will take you on a voyage of discovery. The ship capacity is limited to 64 passengers, providing intimacy and convivial atmosphere to the cruise. The refined life on board, the welcoming charm to your cabin, the lounges and the restaurants setting are as many invitations to relax. 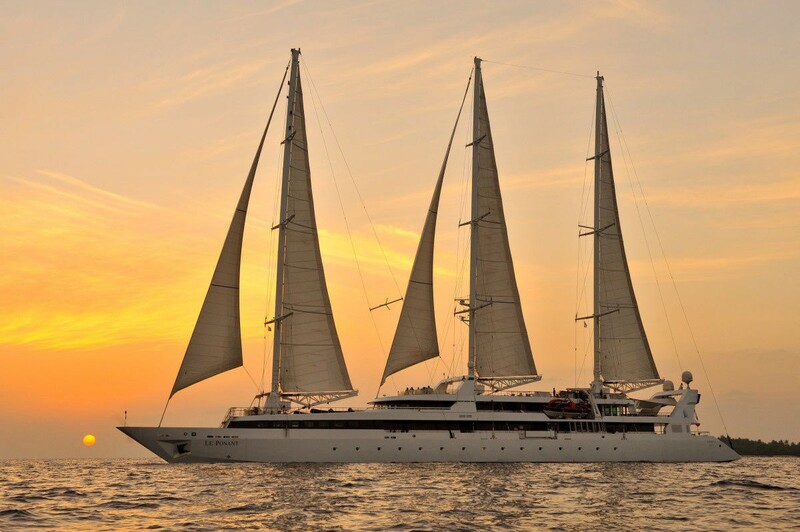 Under full sail, gliding over the sea with the wind, you will fall under Le Ponant's spell.